Hello everyone! The famous lentil recipe is here! In a large bowl mix lentils, quinoa and vegetables, except for the scallions. Squeeze the juice from the 10 lemons into a blender and add the cilantro, salt and pepper. Blend on high until smooth. Transfer to a cooking pot, cover and boil for 10 minutes. Wait until cooled and add to the lentils. Add the scallions at the end. 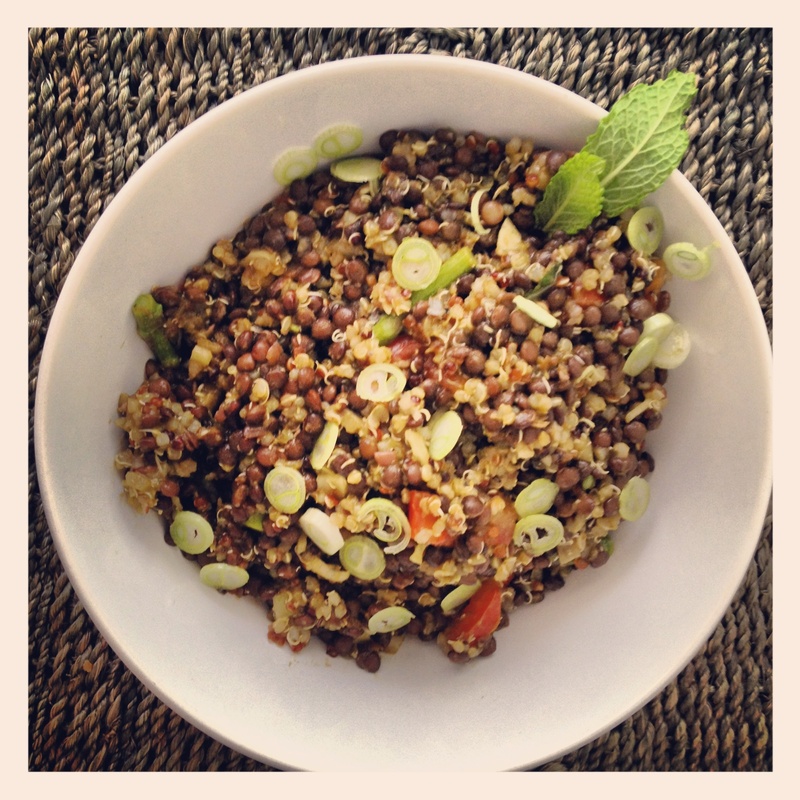 You will love this healthy and delicious lentil recipe, let me know what you think!